The Megathrone is one of the many Pistols in the Evolution: Battle for Utopia game. There are a lot of armored drones and turrets among my enemies here on Utopia. 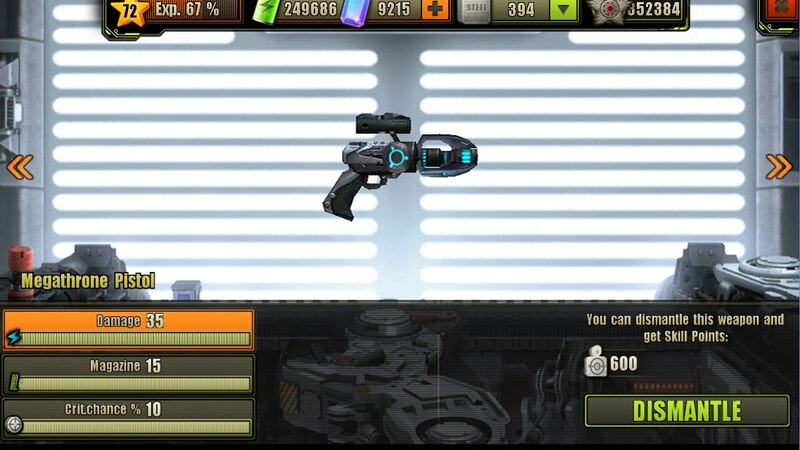 That’s wy I’ve got this Megathrone Pistol – now even those with heavy armors won`t escape alive! The Megathrone Pistol can deal 20/35 (Min/Max) of damage, has 5/15 (Min/Max) of magazine size and 0/10 (Min/Max) of critical chance. 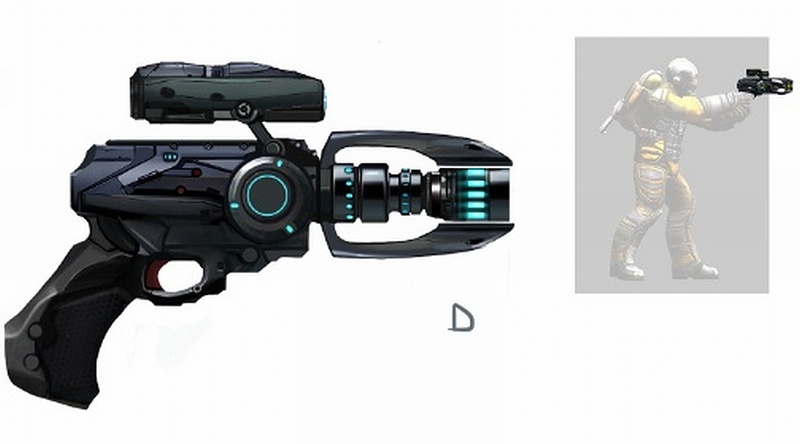 Megathrone Pistol can be upgraded or dismantled at your Workshop. Full upgrade cost for Megathrone Pistol is 3750 , 165 , 7250 and 01:18:00 of time. Its maximum dismantle reward is 600 (for fully upgraded variant). This pistol is worth every single gem it costs! Use stasis against opponents who prefer close-range battle.